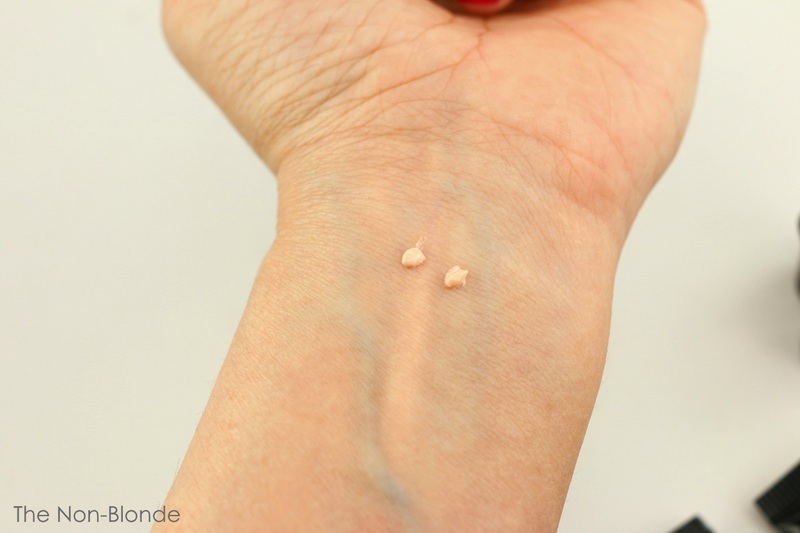 Today we're going deep into the heart of drugstore makeup in order to try and solve a mystery. One of the ultimate cult secrets of the last couple of years has been the eye shadow primer from Wet'n'Wild's Fergie Collection (for my mom and other uninitiated folks, we're talking about Fergie the singer and not the Duchess of York). Somehow this little tube that retails under $6.00 (and with various drugstore coupons and deals I've rarely paid more than $4.00 a pop) has proven to be one of the most effective and brilliant eye primers on the market. softer, smoother, creamier, and tackier to touch, dried down to nothing on the lid and enhanced the performance of every eye shadow used over it, from Tom Ford to Colourpop. Fergie's contract with Wet'n'Wild seems to have run its course after about three years, and the brand had discontinued the entire Fergie line, though the actual products (at least some) seem to have been repackaged, rebranded, and absorbed into the permanent line. Cue rumors of reformulation and that the Wet'n'Wild Photo Focus Eyeshadow Primer Only A Matter of Prime is not the same and doesn't perform as well as its predecessor, Fergie Take On The Day Eye Shadow Primer. While I still have a stock of backups of the latter (that's how drugstore deals work), I had to get a tube of the new one to see what was up. Of course, this is not the complete formula, and concentrations/quantities could have changed in theory. But since I find it hard to believe that Fergie has anything to do with the actual formula and have taken the secret with her, more than that Melisandre has chanted a prayer to the Lord of Light over a jug full of silicone and other polymers, I tend to think this is the exact same thing. Fergie is the one on the right. Each drop is enough for one full eye lid, from lashes to brow bone. I've tried both primers at the same time, one on each eye and saw no difference. They look the same, feel the same, and my eye shadows and liners appeared as good as ever. For those who never tried it, I find this product most similar to another favorite, Urban Decay Anti-aging Primer Potion (Ingredients: Isododecane, Talc, Cyclopentasiloxane, Trimethylsiloxysilicate, Triethylhexanoin, Oryza Sativa (Rice/Riz) Bran Oil, Trihydroxystearin, Disteardimonium Hectorite, Polyethylene, Sorbitan Sesquioleate, VP/Hexadecene Copolymer, C12-15 Alkyl Benzoate, Dimethicone, Alumina, Caprylic/Capric Triglyceride, Phenoxyethanol, PEG-40 Stearate, Synthetic Beeswax, Propylene Carbonate, Hexyl Laurate, Polyglyceryl-4 Isostearate, Tribehenin, PEG-10 Dimethicone, Stearic Acid, Ethylhexylglycerin, Ceramide 2, PEG-10 Rapeseed Sterol, Alaria Esculenta Extract, Palmitoyl Oligopeptide, Water, [+/- (May Contain) : Mica, CI 77891 (Titanium Dioxide), CI 77491/77492/77499 (Iron Oxides), CI 77163 (Bismuth Oxychloride)]. It's less dry and opaque than NARS, which I still use, and less tacky than the very fabulous Youngblood. I love my primers and rotate between them, mostly on a whim. I'm not a Wet'n'Wild expert by a long shot. all I can say is that their eye primer is absolutely fantastic. Bottom Line: Mystery solved, I hope. 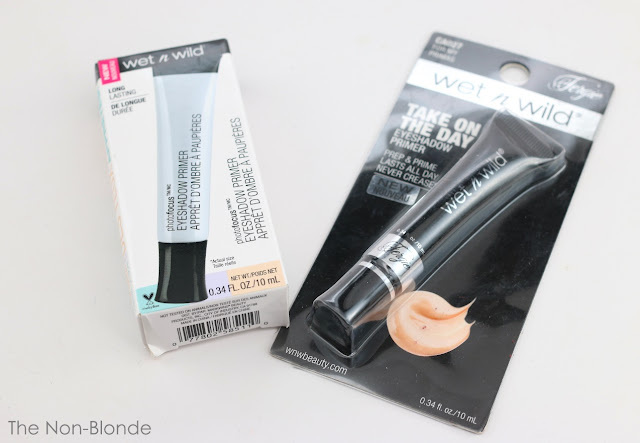 Wet'n'Wild Photo Focus Eyeshadow Primer Only A Matter of Prime is made in China, available for around $4.99 at Walgreens, CVS, Ulta, and most drugstore. I've noticed that prices and promotions vary between stores. That's a relief as I never got around to getting the Fergie version! Good to know! I'm currently using Nars but I much prefer the type of tube packaging used by Wet n Wild. Looks like this is one worth trying. I love this primer and Wet n'Wild makes great lipsticks too.